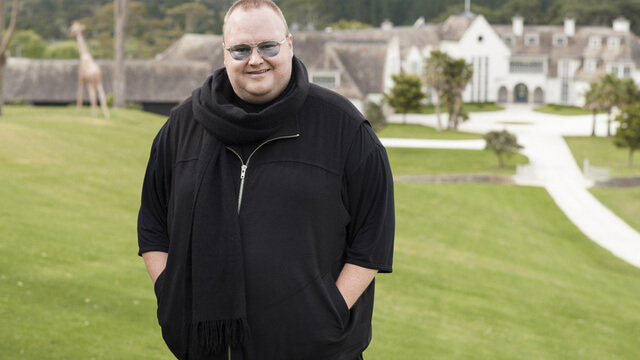 Kim Dotcom will give the world a “gift” with his new service. But recent media reports say that Kim Dotcom is preparing to launch a new file-sharing service. The name of the service will go something like K.im. And Kim Dotcom hopes that his new online service would go on and create the first copyright revolution. Various media reports have also said that Kim’s new online platform will not only provide users with a secure environment to share files, but people may also ask money from others for providing those files. In other words, Kim Dotcom, with his new platform K.im, will provide a new opportunity for entities such as copyright holder groups. This opportunity would enable copyright holder groups to monetize online piracy. Kim Dotcom made his name with Megaupload. And that’s what most people know him for. But he has done a lot more work than just Megaupload. People may not have forgotten about it but Kim has. And Kim has moved on to launching more projects just like megaupload.com. 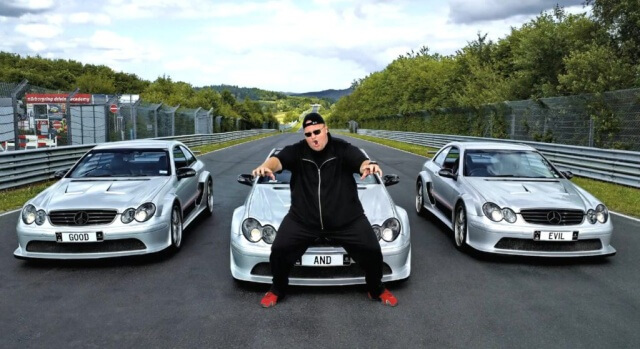 Of course, Kim Dotcom should not expect an easy ride this time around. The United States government shut down his previous Megaupload project, a file sharing mega platform, back in 2012. As mentioned before, Kim Dotcom fully knows the risks we will have to take with his new project. Afterall, his Megaupload project will likely never come back. The only positive thing to say here is that, Megaupload’s shutdown hasn’t stopped the internet entrepreneur from New Zealand from working even harder and bringing on new file-sharing websites. Initiall, the media dubbed the new file-sharing platform as Megaupload 2. But now, we know that isn’t the case for sure. As alluded to earlier as well, the new service will go by the name of K.im. And according to Kim Dotcom, this new online file-sharing platform would bring something new to the file-sharing industry. In other words, K.im will not be just another version of Megaupload. Quite different from the old Megaupload. K.im will bring a revolution. According to Kim Dotcom. Just last week, Kim Dotcom displayed an official demo of the service to a few thousand people in the audience. In the presentation, he revealed more details on how the new online file-sharing platform would work and what they new online file-sharing platform would offer to online users. Most of us already know that Kim Dotcom is officially K.im’s chief evangelist. That means, Kim Dotcom is likely to do the bulk of the new project’s promotion campaign. As mentioned before, K.im would offer something different from all previous online file-sharing platforms. But how will it manage to do that exactly? Well, first of all, we should all understand that K.im would not operate as a central hosting service. In fact, various media reports say that K.im would work on a contrary model. Basically, K.im would allow online users to upload their desired content and then distribute that content to the hundreds of other online services. We just said torrent sites. According to many sources, the new online file-sharing platform would distribute files across the online world, the internet, in a way where people could access them freely. All of That Is Great. So What Is The Catch? Let’s discuss the catch in this situation. See, the uploaders on K.im would perform a bigger role than just file uploaders. K.im would allow uploaders to set a price for all their downloads. And online users who would want access to a copy of those uploads would only get access when they have unlocked the uploaded content via K.im app. K.im may also offer a browser addon. And of course, K.im app would only allow online users to unlock those files once people have paid the uploader’s price for it. Kim is planning is build on his new project rather than thinking about its end. Recent media reports have also revealed that K.im actually has an interesting pairing with Bitcache. This basically allows K.im to have a built-in micropayment online solution. As mentioned before, this system will allow uploaders and creators of the content to charge online users, the public, money for any and all files that they themselves upload. In other words, every piece of content would basically represent a Bitcoin transaction. Hence, online users wouldn’t’ see a traditional file-sharing website. K.im would represent a store. A store where there are many sellers and buyers. Uploaders will have the option to turn their uploaded files into stores rather than free lunches. 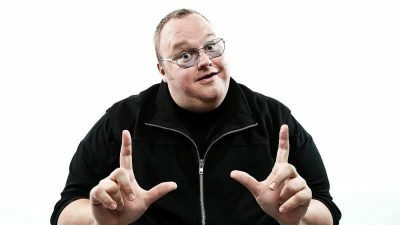 Kim Dotcom, in an interview with TorrentFreak, told reporters that he saw his new online file-sharing service as a unique copyright revolution. He also said that his new file-sharing service would represent a win-win situation for everybody. Independent creators would get their share. And so will rightholders groups along with people who are only used to downloading pirated stuff from the internet for free. Kim Dotcom also told TorrentFreak that he wanted to work for both sides. And this project would allow him to do that in the best possible manner. He said that his new platform would protect the copyright holders and also the people who will buy uploaded content from his new online file-sharing platform. Kim Dotcom also revealed that his new online file-sharing service would help online users who have no problem in paying for their content but regularly face geo-restrictions. Such users, according to Kim Dotcom, go to the many torrent sites and download content for free not because they want to but because they are forced to do so via geo-restrictions. Kim wants to play on both sides of the war. As mentioned before, K.im will give the world something different. Something no other file-sharing platform has done before. We already know that K.im will allow users to upload files. And then sell those files. That function is pretty common now. There are tons of sites that allow users to upload content and then spread that content. K.im wouldn’t change that equation even a little bit. In other words, it would also allow pirates to spread their copyright infringing content to charge users a small online free. 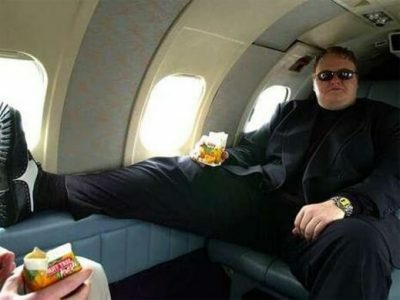 Kim Dotcom told TorrentFreak that he had considered the problem before. And that, he had a good solution to the problem in mind. Kim Dotcom would use already established models such as that of YouTube. YouTube, the world’s greatest streaming site, allows rightsholder groups to monetize YouTube videos that make use of their copyrighted work. Similarly, Kim Dotcom said, K.im would also provide some options to rightsholder groups and others to claim content that they feel is their copyrighted content. Moreover, K.im would also allow rightsholder groups and others to change the fee for that particular content. Then they would enable the rightholders group to re-direct all the revenue from the piece of content in question to their own accounts. So what exactly would happen if someone just went to K.im and uploaded a piece of content that is pirated? Think, for, example, someone uploading the latest episode of Game of Thrones or the season finale of some other popular TV show. Well, if the uploader uses K.im file-sharing platform, then K.im would allow HBO to claim that piece of content and its files. Moreover, K.im would also allow HBO to charge whatever they feel appropriate for the content. OF course, then HBO can also benefit and profit from the pirated content. What happens to the original uploader then? K.im would allow the uploader of the pirated content to maintain his/her privacy. Kim Dotcom told TorrentFreak that his new platform K.im would also represent the holy grail of copyright law enforcement. He said, he wanted to give this gift to the whole of Hollywood along with various movie studios and everyone else involved with the entertainment industry. Kim Dotcom also believes that online piracy is not the result of people wanting free content. According to Kim, people download pirated content because they have availability problems. In other words, lots of times when people want to watch a piece of content, they have no place to go and watch that content. Hence, when they don’t find the content they want to consume, they turn to piracy. And that’s one of the goals of his new online file-sharing platform. K.im would aim to solve the problem of distribution of files. And it will make these files available to as wide an audience as possible. How Will K.im Increase The Availability of Files? Well, it would make use of any means necessary to spread files. And those means would include the likes of torrent sites and other file sharing sites. K.im would provide files to all these torrent sites that millions of users visit on a regular basis. Kim Dotcom showed how the model would work by featuring some of the sites his new file-sharing platform would use in his latest demo. Since most of these torrent sites are now in a “shut down” state, users can’t really upload content to these sites. Moreover, some of the torrent sites listed above don’t just allow anyone to upload content on their website. And there are those torrent sites as well which don’t allow any user to upload content. These sites include the likes of YTS, EZTV, RARBG and KickassTorrents. Either these sites have gone offline or they don’t allow regular users to upload files. Kim Dotcom doesn’t see the problem though. He told TorrentFreak that the names he used in the demo only represented examples. He also said that his team had kept itself busy in recent months trying to work on partnerships with various popular file-sharing websites around the world. K.im And Torrent Sites. Match or No Match? Will all the popular torrent sites agree to cooperate with K.im? Whether they will or won’t, will only become clear once Kim Dotcom has launched his latest project and tries to attract more attention. Moreover, the only standard way of protecting files is to encrypt them. And that present Kim Dotcom with another problem. If users can’t open a file without paying first because they are encrypted, then most of the torrent sites would see these files as SPAM files. And traditional torrent sites don’t allow SPAM files on their platform. The User? Where Does The USer Go In All oF This? The user’s perspective is also important. IN other words, it is really a big question whether people would like to pay for a piece of content that they know they can get for free from another website. Our guess is that the majority of the users won’t agree to such deals. Do take note that we are not talking about the average online users here. Of course, people do subscribe to services such as Hulu and Netflix. And in the process of doing so, have no qualms about paying for their content. But K.im, it seems, is trying to target users who have set out with a particular mindset. These users are going to online torrent sites to download stuff for free. How will they perceive such an offer? If they are going to download pirated stuff, they might as well do it for free. And if K.im would not allow that then they would simply go to the next website that will. Moreover, no one can deny the fact that there are tons of free options for users to download all types of files. And no K.im or ten online file-sharing platform will manage to change that. Kim Dotcom is convinced though. He said that K.im would create that copyright revolution that he is after. Kim Dotcom also stressed the fact that uploaders along with site owners could benefit a great deal from his new file-sharing platform. Well, as we mentioned before, they would receive all those affiliate fees. And they would continue to receive the affiliate fee even after a rightsholder group has claimed a particular piece of pirated content. Kim Dotcom told TorrentFreak that rightsholder groups could use his platform to turn piracy traffic into that much sought-after revenue generating traffic. Moreover, his new online file-sharing platform would allow users to access their content on any given platform. Dotcom also said that every file would represent a store on his new file-sharing platform. And that meant the location of the file did not matter in the overall scheme of things. Does The Kim Dotcom Plan Make Sense? In all honesty, his plan does make a bit of sense. In other words, he does raise some valid points in his arguments. People have gotten used to downloading pirated stuff for free. But the reason for that isn’t entirely that the content is free. And people really don’t want to use a ton of services to get their content. Dotcom’s vision clearly has people visiting just one single website in order to fulfill all their content access needs.